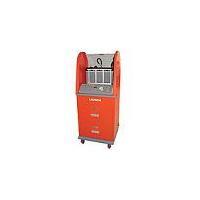 CNC-801A injector cleaner & tester developed with the technology of ultrasonic cleaning and fuel pressure control, CNC-801A is an advanced electromechanical product, which can clean and test injectors by simulating engine working conditions. It can also perform cleaning on the injectors and fuel supply system on vehicle. Adaptor 1 for fuel top-supply injector, Swiss thread adaptor for fuel top-supply injector, Coarse thread adaptor for fuel top-supply injector, Plug for BUICK injector, Hexangular Stopper, O - ring, CNC-Pulse connecting wire, connnecting hose for on-vehicle cleaning, Flush-back Adaptor for fuel top-supply injector, On-vehicle cleaning kit, Ultrasonic Cleaner.